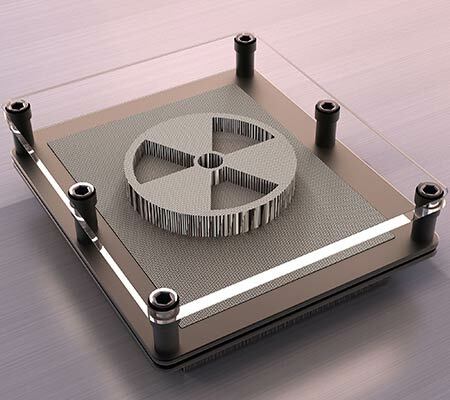 Wolfmet tungsten alloy can be used to provide effective shielding against harmful radiation in a range of nuclear engineering applications. 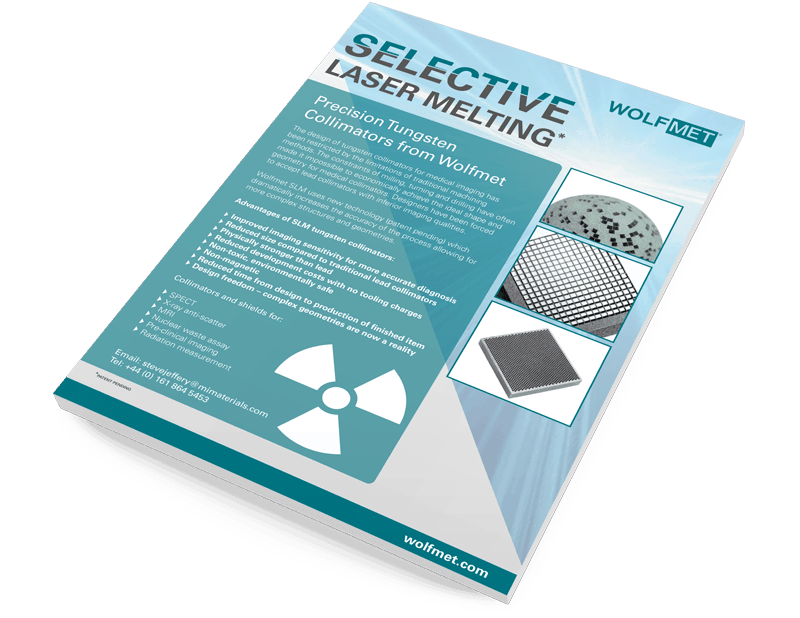 Wolfmet is frequently used for small localised shields, especially in restricted spaces as its excellent attenuation properties mean thinner shields can be used without compromising the level of protection for personnel and sensitive equipment. Spent nuclear fuel (SNF) and waste materials are subjected to investigative procedures to determine their radionuclide content. 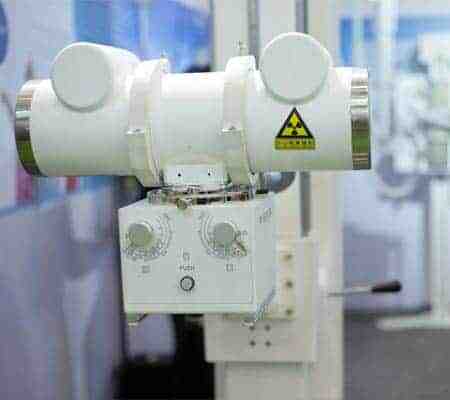 In fuel assay and waste assay systems, where levels of radioactivity are measured, there is a need for accurate collimators to focus the incoming radiation. 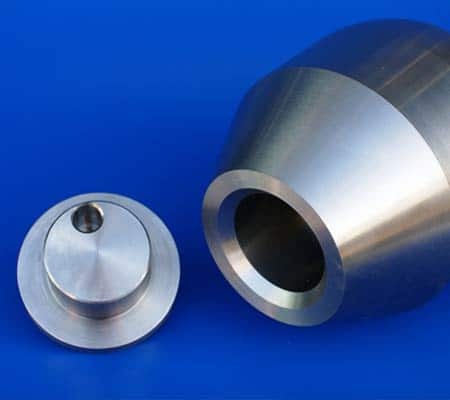 Wolfmet tungsten alloy can be machined to very tight tolerances to produce the required collimators and meet customer specifications. Wolfmet tungsten alloy’s high density and superior attenuation characteristics allow for smaller, more compact effective shields to be placed around scanners, accommodating complex design requirements with no compromise on safety or efficient operation. In situations where space is of particular concern and compact packaging containers are a must, the high density of Wolfmet tungsten alloy means that a significantly smaller container can be used without any compromise on effective shielding. Wolfmet tungsten alloy is the ideal solution for designers looking for shielding materials for use in small spaces, such as around pipelines where gas or liquid through-flow needs to be monitored. 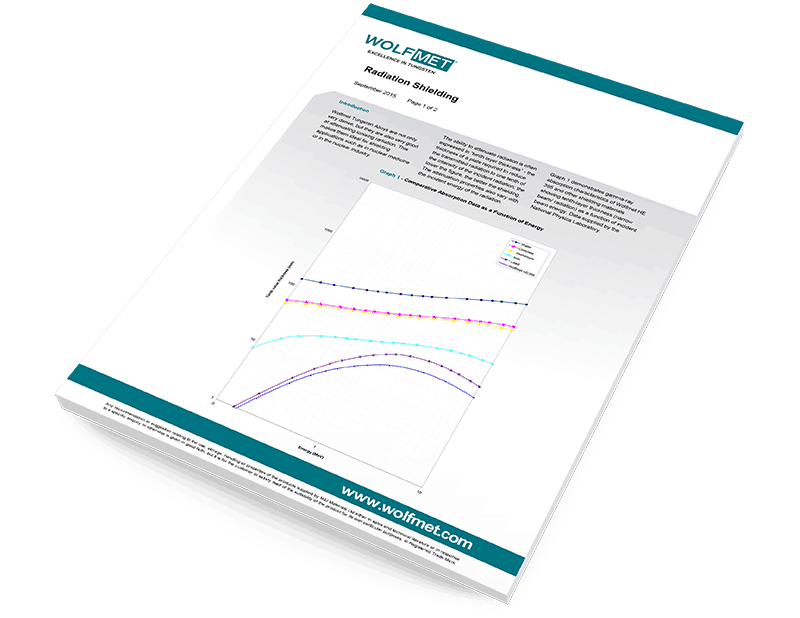 As it is 60% more dense than lead, Wolfmet tungsten alloy can be used to create smaller components that fit easily into restricted spaces without compromising shielding effectiveness. Where CCTV cameras are used in hot cells and other hostile environments, shielding the microchips that process the digital images is critical. Using Wolfmet tungsten alloy for this purpose ensures reliable diagnostic images are produced, helping maintain plant safety. We can manufacture complex parts from pure tungsten using selective laser melting.